Short Courses & Intensives Learn New Tricks and Develop Your Skills! 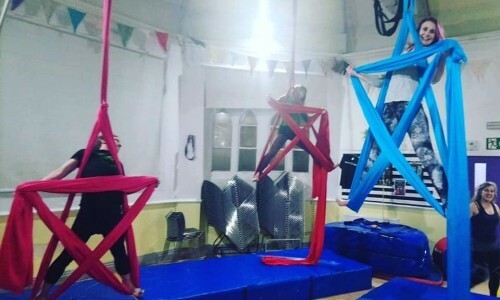 Tuesdays 7-8:30pm, 23rd, 30th April 7th, 14th, 21st May £15 DROP IN £36 THREE CLASS CARNET £50 HALF TERM FEE (5 classes) Come and learn the basics of how to fly with good technique, developing skills and tricks on trapeze, aerial hoop and aerial silks. 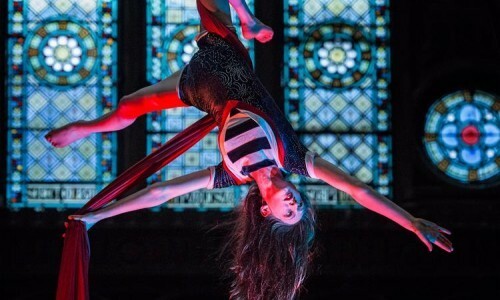 Suitable for intermediate aerialists. 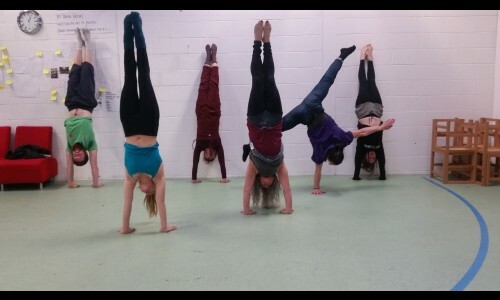 Wednesdays 7-8:30pm, 24th April 1st, 8th, 15th. 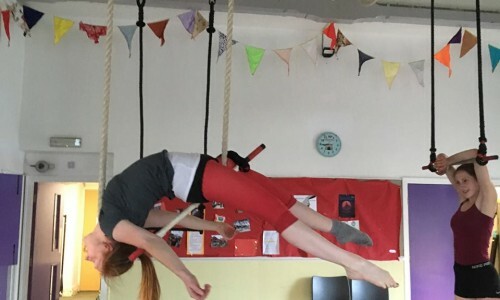 22nd May £15 DROP IN £36 THREE CLASS CARNET £50 HALF TERM FEE (5 classes) Come and learn the basics of how to fly with good technique, developing skills and tricks on trapeze, aerial hoop and aerial silks.